Yoho National Park is located in Canada's Rocky Mountains along the western slope of the Continental Divide of the Americas in southeastern British Columbia. Yoho NP is bordered by Kootenay National Park on the southern side and Banff National Park on the eastern side in Alberta. The name Yoho comes from the Cree word for awe and wonder. Yoho covers 1,313 km2 (507 mi2) and it is the smallest of the four contiguous national parks. Yoho, together with Jasper, Kootenay and Banff National Parks, along with three British Columbia provincial parks—Hamber Provincial Park, Mount Assiniboine Provincial Park, and Mount Robson Provincial Park—form the Canadian Rocky Mountain Parks World Heritage Site. 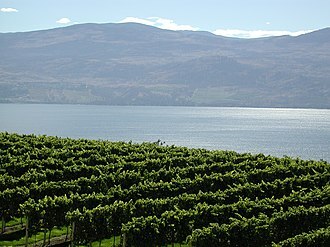 The park's administrative and visitor centre are located in the town of Field, British Columbia, beside the Trans-Canada Highway. 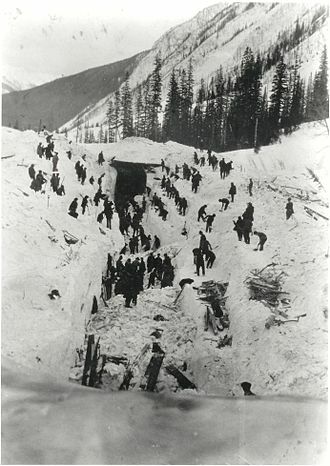 The park was created following a trip by Prime Minister John A. Macdonald and his wife Agnes through the Rockies on the newly completed Transcontinental Railway. 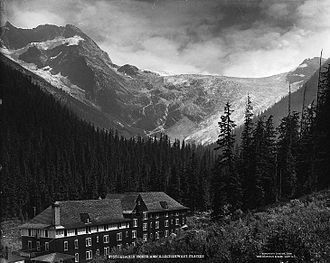 Inspired on his return to Ottawa, Yoho National Park was created on October 10, 1886. Glacier National Park was created on the same day, becoming the second and third national parks in the country, after Banff. 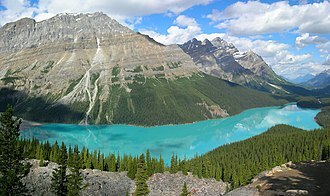 The contiguous national parks of Banff, Jasper, Kootenay and Yoho, as well as the Mount Robson, Mount Assiniboine and Hamber provincial parks were declared a UNESCO World Heritage Site in 1984. 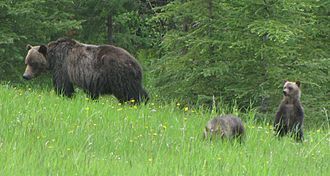 Common species of animals that roam in this park are the timber wolf, coyote, badger, moose, elk, mule deer, mountain goat, golden-mantled ground squirrel, rufous hummingbird, hoary marmot, wolverine, cougar, pika, lynx, grizzly bear, and American black bear. The weather in the park is localized and changeable. 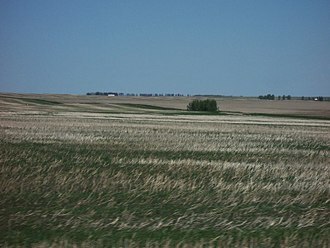 Being located on the western side of the continental divide, it receives more precipitation than areas east of the divide. Precipitation in the park increases with elevation. In winter, average temperatures are between 5 to −15 °C (41.0 to 5.0 °F) from the months November to April although temperatures can range between 10 to −35 °C (50.0 to −31.0 °F). The coldest weather usually occurs in the months December to February. In summer, mean temperatures average 12.5 °C (54.5 °F) with an average high of 20 °C (68.0 °F) and an average low of 5 °C (41.0 °F). 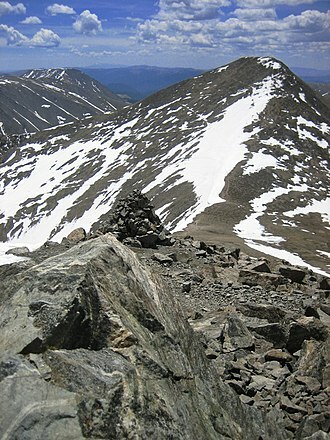 Snowfall and freezing temperatures can occur during the summertime at altitudes above 1,500 m (4,900 ft). The Kicking Horse River, a Canadian Heritage river, originates in the Wapta and Waputik icefields in the park. This river has created a natural bridge through solid rock. This formation is located 3 km west of Field, accessible from the road to Emerald Lake. 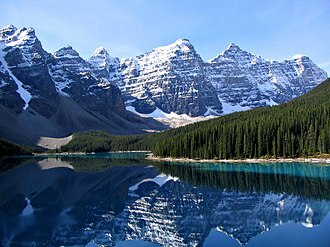 The Canadian Rockies consist of sedimentary rock, with numerous fossil deposits. In particular, the Burgess Shale, located in Yoho National Park, has among the world's richest deposits of rare[further explanation needed] fossils. The Burgess Shale was discovered in 1909 by Charles Doolittle Walcott. In the southeastern corner of the park is an igneous intrusion known as the Ice River Complex containing deposits of sodalite, an ornamental stone. Mount Stephen 3,199 m (10,496 ft) is the tallest of the four mountains that surround the town of Field, British Columbia. A portion of the Burgess Shale fossils were discovered on Mount Stephen. Mount Burgess 2,599 m (8,527 ft) is a frequently climbed mountain. For 17 years it was featured on the Canadian ten-dollar bill. 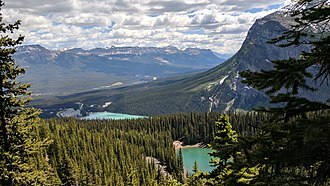 Wikimedia Commons has media related to Yoho National Park. ^ "Canadian Rocky Mountain Parks". World Heritage list. UNESCO. Retrieved August 26, 2010. ^ a b c d e f g "Yoho National Park Weather". Parks Canada. Retrieved August 22, 2015. 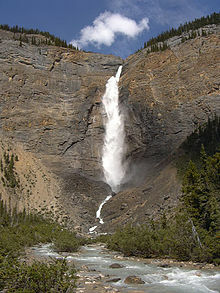 Wikivoyage has a travel guide for Yoho National Park. 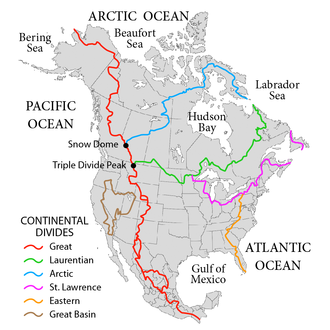 The Continental Divide of the Americas is the principal, and largely mountainous, hydrological divide of the Americas. The Continental Divide of the Americas begins at Cape Prince of Wales, the Divide crosses into the United States in northwestern Montana, at the boundary between Waterton Lakes National Park and Glacier National Park. In Canada, it forms the boundary of Waterton Lakes National Park. The Divide crosses into Wyoming within Yellowstone National Park and continues southeast into Colorado where it reaches its highest point in North America at the summit of Grays Peak at 4,352 m. It crosses US Hwy 160 in southern Colorado at Wolf Creek Pass, the Divide proceeds south into western New Mexico, passing along the western boundary of the endorheic Plains of San Agustin. Although the Divide represents the height of land between watersheds, it not always follow the highest ranges/peaks within each state or province. In Mexico, it passes through Chihuahua, Zacatecas, Jalisco, Querétaro, México, the Federal District, Puebla and Chiapas. In Central America, it continues through southern Guatemala, southwestern Honduras, western Nicaragua, western/southwestern Costa Rica, the divide reaches its lowest point in Central America at the Isthmus of Rivas at 47 m in Nicaragua. In North America, mainly non-mountainous divide, the Laurentian Divide, secondary divides separate the watersheds that flow into the Great Lakes and Saint Lawrence River from watersheds that flow to the Atlantic via the Missouri-Mississippi complex. 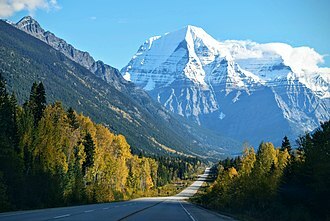 Another secondary divide follows the Appalachian chain, which separates those streams, Triple Divide Peak in Glacier National Park, Montana, is the point where two of the principal continental divides in North America converge, the Great Divide and the Northern or Laurentian Divide. From this point, waters flow to the Pacific Ocean, the Atlantic Ocean via the Gulf of Mexico, most geographers, geologists and oceanographers consider this point the hydrological apex of North America. This is not the place on earth where two oceanic divides meet, i. e. where waters from a single point area feed into three different oceans. Sodalite is a rich royal blue tectosilicate mineral widely used as an ornamental gemstone. Although massive sodalite samples are opaque, crystals are transparent to translucent. Sodalite is a member of the group with hauyne, nosean. A light, relatively hard yet fragile mineral, sodalite is named after its sodium content, well known for its blue color, sodalite may be grey, green, or pink and is often mottled with white veins or patches. The more uniformly blue material is used in jewellery, where it is fashioned into cabochons, lesser material is more often seen as facing or inlay in various applications. Although somewhat similar to lazurite and lapis lazuli, sodalite rarely contains pyrite and it is further distinguished from similar minerals by its white streak. Sodalites six directions of cleavage may be seen as incipient cracks running through the stone. It is sometimes referred to as poor mans lapis due to its similar color and its name comes from its high sodium content. Most sodalite will fluoresce orange under ultraviolet light, and hackmanite exhibits tenebrescence, hackmanite is an important variety of sodalite exhibiting tenebrescence. When hackmanite from Mont Saint-Hilaire or Ilímaussaq is freshly quarried, it is pale to deep violet. Conversely, hackmanite from Afghanistan and the Myanmar Republic starts off creamy white, if left in a dark environment for some time, the violet will fade again. Tenebrescence is accelerated by the use of longwave or, much sodalite will fluoresce a patchy orange under UV light. Sodalite was first described in 1811 for the occurrence in its locality in the Ilimaussaq complex, Narsaq. Occurring typically in massive form, sodalite is found as fillings in plutonic igneous rocks such as nepheline syenites. It is associated with other minerals typical of undersaturated environments, namely leucite and natrolite, other associated minerals include nepheline, titanian andradite, microcline, albite, fluorite and baryte. Significant deposits of material are restricted to but a few locales, Bancroft and Mont-Saint-Hilaire, Quebec, in Canada, and Litchfield, Maine. The Ice River complex, near Golden, British Columbia, contains sodalite, smaller deposits are found in South America, Romania and Russia. The American badger is a North American badger, somewhat similar in appearance to the European badger. It is found in the western and central United States, northern Mexico, American badgers habitat is typefied by open grasslands with available prey. 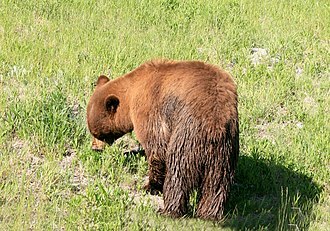 The species prefers areas such as regions with sandy loam soils where it can dig more easily for its prey. The American badger is a member of the Mustelidae, a family of carnivorous mammals that includes the weasel, ferret. The American badger belongs to the Taxidiinae, one of three subfamilies of badgers – the other two being the Melinae and the Mellivorinae, the American badgers closest relative is the prehistoric Chamitataxus. Ranges of subspecies overlap considerably, with intermediate forms occurring in the areas of overlap, in Mexico, this animal is sometimes called tlalcoyote. The Spanish word for badger is tejón, but in Mexico this word is used to describe the coati. This can lead to confusion, as both coatis and badgers are found in Mexico, measuring generally between 60 and 75 cm in length, males of the species are slightly larger than females. Northern subspecies such as T. t. jeffersonii are heavier than the southern subspecies, in the fall, when food is plentiful, adult male badgers can exceed 11.5 kg. Except for the head, the American badger is covered with a grizzled, brown and white coat of hair or fur. 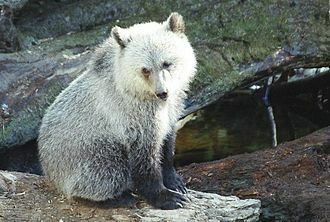 The coat aids in camouflage in grassland habitat and its triangular face shows a distinctive black and white pattern, with brown or blackish badges marking the cheeks and a white stripe extending from the nose to the base of the head. In the subspecies T. t. berlandieri, the white stripe extends the full length of the body. The American badger is a fossorial carnivore, the American badger is a significant predator of snakes including rattlesnakes, and is considered the most important predator of rattlesnakes in South Dakota. American badgers are nocturnal, however, in remote areas with no human encroachment they are routinely observed foraging during the day. Seasonally, a badger observed during daylight hours in the Spring months of late March to early May often represents a female foraging during daylight, badgers do not hibernate, but may become less active in winter. A badger may spend much of the winter in cycles of torpor that last around 29 hours and they do emerge from their burrows when the temperature is above freezing. 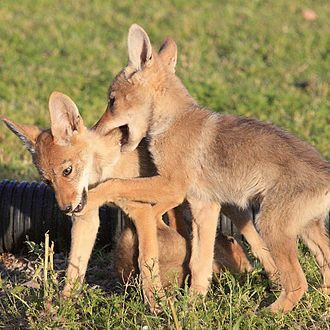 A widely held misconception is that badgers and coyotes hunt together, badgers are solitary foragers, coyotes will observe badgers in the process of foraging and position themselves in proximity in order to attempt to capture any prey seeking to escape. 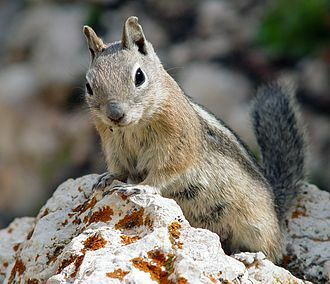 The American pika, a diurnal species of pika, is found in the mountains of western North America, usually in boulder fields at or above the tree line. They are herbivorous, smaller relatives of rabbits and hares, the American pika, known in the 19th century as the little chief hare, has a small, ovate body. Their body length ranges from 162 to 216 mm and their hind feet range from 25 to 35 mm. They usually weigh about 170 g, body size can vary among populations. In populations with sexual dimorphism, males are larger than females. The American pika is intermediate in size among pikas, the hind legs of the pika do not seem to be much longer than its front legs and its hind feet are relatively short when compared to most other lagomorphs. 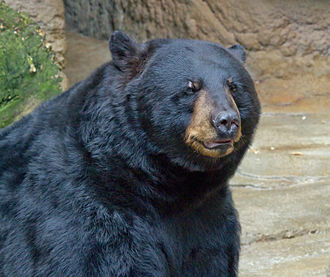 It has densely furred soles on its feet except for black pads at the ends of the toes, the ears are moderately large and suborbicular and are hairy on both surfaces, normally dark with white margins. 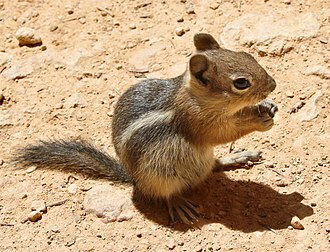 The pikas buried tail is longer relative to body size compared to other lagomorphs and it has a slightly rounded skull with a broad and flat preorbital region. 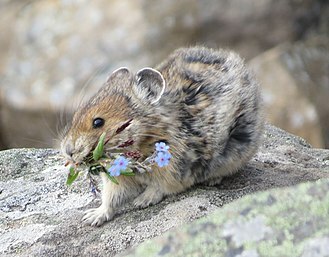 The fur color of the pika is the same for both sexes, but varies by subspecies and season, the dorsal fur of the pika ranges from grayish to cinnamon-brown, often colored with tawny or orchraceous hues, during the summer. During winter, the fur becomes grayer and longer, the dense underfur is usually slate-gray or lead-colored. 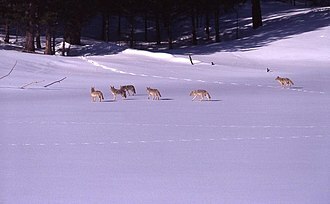 It has whitish ventral fur, males are called bucks and females are called does like rabbits. Pikas inhabit talus fields that are fringed by suitable vegetation on alpine areas and they live in piles of broken rock. Sometimes, they live in man-made substrate such as mine tailings, Pikas usually have their den and nest sites below rock around 0. 2–1 m in diameter but often sit on larger and more prominent rocks. They generally reside in scree near or above the tree line, Pikas are restricted to cool moist microhabitats on high peaks or watercourses. Intolerant of high temperatures, in the northern portion of their range they may be found near sea level. Pikas rely on existing spaces in the talus for homes and do not dig burrows, they can enlarge their home by digging. Kootenay National Park is located in southeastern British Columbia Canada, covering 1,406 km2 in the Canadian Rockies, and forms part of a World Heritage Site. The park ranges in elevation from 918 m at the park entrance. 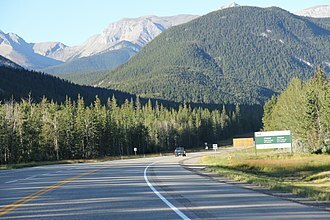 A strip of land 8 km wide on each side of the newly constructed 94 km, banff–Windermere Highway was set aside as a national park. While the park is open all year, the major tourist season lasts from June to September, most campgrounds are open from early May to late September, while limited winter camping is available only at the Dolly Varden campground. The park takes its name from the Kootenay River, one of the two rivers which flow through the park, the other being the Vermillion River. BC Highway 93 follows the path of rivers through the park. The parks main attractions include Radium Hot Springs, Olive Lake, Marble Canyon, Sinclair Canyon, the hot springs offer a hot springs pool ranging from 35 to 47 °C. The Paint Pots are a group of iron-rich cold mineral springs which bubble up through several small pools, the Paint Pots were a major source of the ochre paint pigment for a number of First Nations groups prior to the 20th century. The mountain goat, known as the Rocky Mountain goat, is a large hoofed mammal endemic to North America. A subalpine to alpine species, it is a sure-footed climber commonly seen on cliffs and ice. Despite its vernacular name, it is not a member of Capra, the mountain goat is an even-toed ungulate of the order Artiodactyla and the family Bovidae that includes antelopes and cattle. It belongs to the subfamily Caprinae, along with 32 other species including goats, the chamois. The mountain goat is the species in the genus Oreamnos. The name Oreamnos is derived from the Greek term oros mountain, both billy and nanny mountain goats have beards, short tails, and long black horns, 15–28 cm in length, which contain yearly growth rings. They are protected from the elements by their woolly white double coats, the fine, dense wool of their undercoats is covered by an outer layer of longer, hollow hairs. Mountain goats molt in spring by rubbing against rocks and trees, with the adult billies shedding their extra wool first and their coats help them to withstand winter temperatures as low as −50 °F and winds of up to 100 mph. A billy stands about 1 m at the shoulder to the waist, male goats have longer horns and longer beards than females. 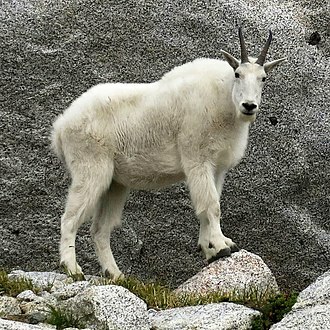 Mountain goats can weigh between 45 and 140 kg, though even billies will often weigh less than 82 kg, the head-and-body length can range from 120–179 cm, with a small tail adding 10–20 cm. The mountain goats feet are well-suited for climbing steep, rocky slopes with pitches exceeding 60°, with pads that provide traction. 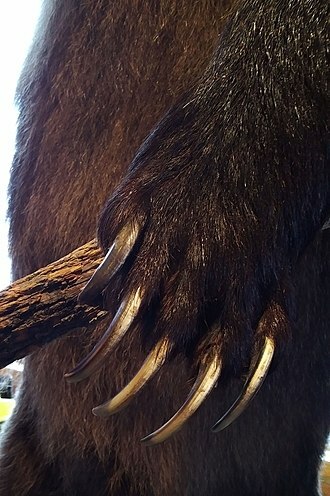 The tips of their feet have sharp dewclaws that keep them from slipping and they have powerful shoulder and neck muscles that help propel them up steep slopes. Its northernmost range is said to be along the fringe of the Chugach Mountains in southcentral Alaska. 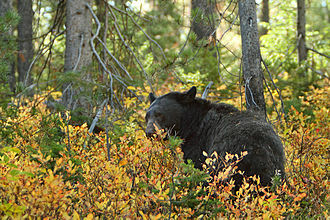 Introduced populations can be found in areas as Idaho, Utah, Oregon, South Dakota. Mountain goats are the largest mammals found in their high-altitude habitats and they sometimes descend to sea level in coastal areas although they are primarily an alpine and subalpine species. The animals usually stay above the line throughout the year. Winter migrations to low-elevation mineral licks often take them several kilometers through forested areas, daily movements by individual mountain goats are primarily confined to areas on the same mountain face, drainage basin, or alpine opening. Charles Doolittle Walcott was an American paleontologist, administrator of the Smithsonian Institution from 1907 to 1927, and geologist. He became known for his discovery in 1909 of well-preserved fossils in the Burgess Shale of British Columbia, Canada and he was described by Stephen Jay Gould as the finest symbol that I have ever encountered for the embodiment of conventional beliefs. Walcott was born in New York Mills, New York and his grandfather, Benjamin S. Walcott, moved from Rhode Island in 1822. His father, Charles Doolittle Walcott, died when Charles Jr. was only two, Walcott was the youngest of four children. He was interested in nature from an age, collecting minerals and bird eggs and, eventually. He attended various schools in the Utica area but left at the age of eighteen without completing high school and his interest in fossils solidified as he became a commercial fossil collector. On January 9,1872, Walcott married Lura Ann Rust and she died on January 23,1876. He lost this job after two years but was recruited to the newly formed US Geological Survey as a geological assistant. In 1876, he became the assistant to James Hall, State Geologist of New York, Walcott became a member of the American Association for the Advancement of Science. In 1879, Walcott joined the US Geological Survey and rose to become its director in 1894 and he married Helena Breese Stevens in 1888. They had four children between 1889 and 1896, Charles Doolittle Walcott, Sydney Stevens Walcott, Helena Breese Walcott, Walcott was elected to the National Academy of Sciences in 1896. In 1902, he met with Andrew Carnegie and became one of the founders and incorporators of the Carnegie Institution of Washington and he served in various administrative and research positions in that organization. In 1921 Walcott was awarded the inaugural Mary Clark Thompson Medal from the National Academy of Sciences, Walcott became Secretary of the Smithsonian Institution in 1907 after the death of Samuel Pierpont Langley, holding the latter post until his own death. 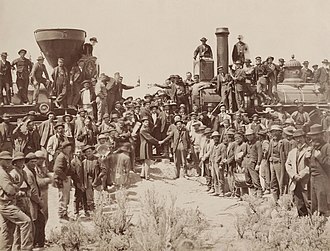 He was succeeded by Charles Greeley Abbot, because of Walcotts responsibilities at the Smithsonian, he resigned as director of the United States Geological Survey. Golden is a town in southeastern British Columbia, located 262 kilometres west of Calgary, Alberta and 713 kilometres east of Vancouver. Much of the history is tied into the Canadian Pacific Railway. Mount 7, which is just southeast of town, is popular with paragliding, hang gliding, kicking Horse Pedestrian Bridge is the longest freestanding timber frame bridge in Canada. Planned as a community project by the Timber Framers Guild, volunteers from Golden were joined by carpenters and timber framers from the United States, the bridge structure is 150 feet long, with a 210, 000-pound Burr arch structure. The bridge was completed in September 2001, on March 26,2009, then-Mayor Aman Virk died suddenly of complications after suffering a heart attack while vacationing in India. Golden is located on Highway 1 and it is the terminus of Highway 95, connecting it to the United States via the rest of the East Kootenay region. The Trans-Canada Highway east of Golden has numerous upgrade projects ongoing to improve the roadway west of the Yoho National Park boundary. The Burgess Shale Formation is a fossil-bearing deposit exposed in the Canadian Rockies of British Columbia, Canada. 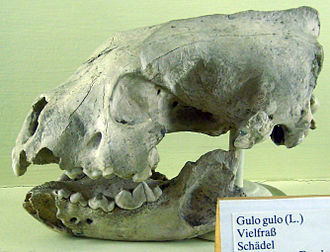 It is famous for the preservation of the soft parts of its fossils. At 508 million years old, it is one of the earliest fossil beds containing soft-part imprints, the rock unit is a black shale and crops out at a number of localities near the town of Field in Yoho National Park and the Kicking Horse Pass. Another outcrop is in Kootenay National Park 42 km to the south, the Burgess Shale was discovered by palaeontologist Charles Walcott on 30 August 1909, towards the end of the seasons fieldwork. He returned in 1910 with his sons and wife, the significance of soft-bodied preservation, and the range of organisms he recognised as new to science, led him to return to the quarry almost every year until 1924. At that point, aged 74, he had amassed over 65,000 specimens, describing the fossils was a vast task, pursued by Walcott until his death in 1927. Walcott, led by scientific opinion at the time, attempted to categorise all fossils into living taxa, and as a result and it was not until 1962 that a first-hand reinvestigation of the fossils was attempted, by Alberto Simonetta. Indeed, many of the present had bizarre anatomical features. Examples include Opabinia, with five eyes and a snout like a vacuum hose and Hallucigenia. With Parks Canada and UNESCO recognising the significance of the Burgess Shale, collections continued to be made by the Royal Ontario Museum. The curator of invertebrate palaeontology, Desmond Collins, identified a number of additional outcrops and these localities continue to yield new organisms faster than they can be studied. Stephen Jay Goulds book Wonderful Life, published in 1989, brought the Burgess Shale fossils to the publics attention, Goulds interpretation of the diversity of Cambrian fauna relied heavily on Simon Conway Morriss reinterpretation of Charles Walcotts original publications. 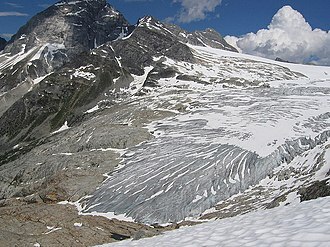 However, Conway Morris strongly disagreed with Goulds conclusions, arguing that almost all the Cambrian fauna could be classified into modern day phyla, the Burgess Shale has attracted the interest of paleoclimatologists who want to study and predict long-term future changes in Earths climate. James Edward Hervey MacDonald, known as J. E. H. MacDonald, was a Canadian artist and one of the founders of the Group of Seven who initiated the first major Canadian national art movement. He was the father of illustrator Thoreau MacDonald, MacDonald was born on May 12,1873 in Durham, England to an English mother and Canadian father, who was a cabinetmaker. In 1887 at the age of 14, he immigrated with his family to Hamilton and that year he began his first training as an artist at the Hamilton Art School, where he studied under John Ireland and Arthur Heming. In 1889, they moved again to Toronto, where he studied commercial art and he continued his training at the Central Ontario School of Art and Design, where he studied with George Agnew Reid and William Cruikshank. In 1895, MacDonald took a position as a designer at Grip Ltd, an important commercial art firm. In the coming years, he encouraged his colleagues—including future artist Tom Thomson—to develop their skills as painters, in 1899, MacDonald married Joan Lavis, and two years they had a son, Thoreau. MacDonald worked as a designer at Grip Ltd until 1903, at Carlton Studio in London from 1903 to 1907, whilst at Carlton, he worked with Norman Mills Price, William Tracy Wallace and Albert Angus Turbayne. In 1911, MacDonald resigned his position at Grip Ltd and moved with his wife and child to Thornhill. To supplement his income, he worked occasionally as a designer until 1921. After developing his own style to the genre, he organized a show of his work at the Arts. Fellow artist Lawren Harris—a member of the Royal Canadian Academy of Arts—was so impressed with MacDonalds work that he asked if they could work together, Harris encouraged MacDonald to continue painting and show his work whenever possible. The following year they organized their first joint exhibition, in 1912, MacDonald was widely recognized for his contributions to an exhibition at the Ontario Society of Artists. In January 1913, MacDonald and Harris travelled to the Albright Art Gallery in Buffalo, New York, the two artists felt that the uninhibited approach to the northern Scandinavian wilderness could be adopted by Canadian painters to create on canvas a unique Canadian form of landscape art. 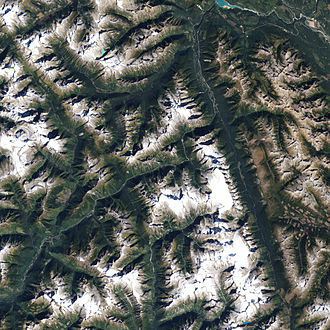 In the Cascade Range, Mount Rainier National Park, near the southwestern limit of their distribution. A close facial view of the Canada lynx. The black ear tufts are characteristic of lynxes. As the forelimbs of are shorter than the hindlimbs, the back appears to be sloping downward toward the front. Also note the stubby tail and the dense fur. A sample of sodalite-carbonate pegmatite from Bolivia, with a polished rock surface. This hippopotamus ornament carved from sodalite demonstrates the mineral's poor cleavage - cracks can be seen throughout the stone. Small specimen of Sodalite from Brazil. Lepus (Lagomys) princeps print from original scientific text. The first meeting of the NACA in 1915. 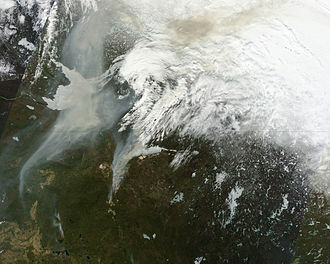 Satellite image of the area.